The OFM20 is a unique, fixed wavelength, high resolution OTDR designed to operate in the short wavelength region (630nm to 980 nm) in Real-Time with unprecedented sensitivity and resolution. The system can be configured to operate in plastic optical fiber (POF) or the standard glass fiber. When operated in the Fresnel mode, return signals below 100 dB can be detected, and return losses as low as 55 dB in multimode fiber can be measured from concatenated components, separated by as little as 10 cm. 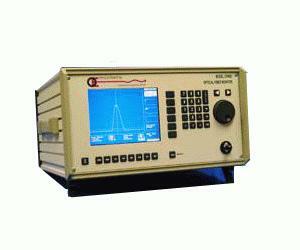 Rayleigh-mode operation allows for splice loss and bending loss measurements. The OFM20 Real-Time operation makes it unmatched for fault-finding applications. The high resolution also makes the OFM20 suitable for beat-length measurements in PM fiber in addition to the more normal length and delay-line applications.